The third album by the trio of Erlend Apneseth – Norway’s new star of the Hardanger fiddle – builds on the foundations set by their acclaimed debut recording, ‘Det Andre Rommet’ (which was nominated for a Norwegian ‘Grammy’) and its equally praised follow-up, ‘Åra’, to create a thrillingly contemporary-sounding amalgam of old and new, mixed and co-produced once again by Jorgen Traeen (Jaga Jazzist, Røyksopp, etc). Commissioned by Bergen Kjott, a former meat packing factory now converted to artist’s studios and performance space, and partly recorded there, ‘Salika, Molika’ combines elements from traditional folk music with experimental improvisation and electronics to produce a fascinating hybrid form where inspired acoustic picking on fiddle and baritone guitar or zither plus percussion is matched by live sampling and processing to create intricately patterned tesselations of sound. 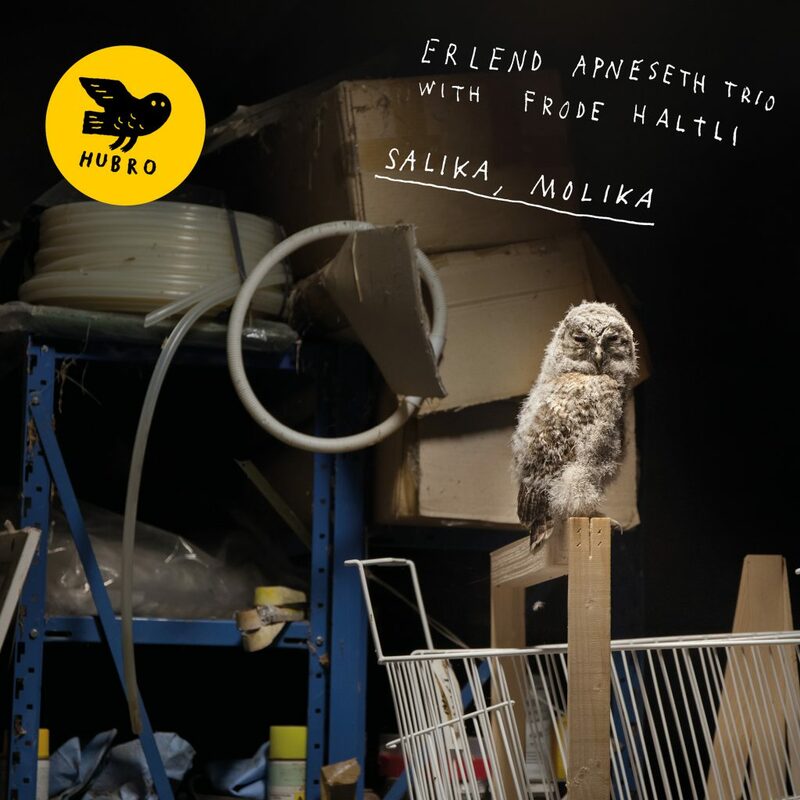 The addition of the celebrated accordionist and composer Frode Haltli – on whose masterly Hubro album of 2018, ‘Avant Folk’, Erlend Apneseth played – deepens the mix to produce a denser yet more nuanced ensemble-sound, while the incorporation of spoken word and ambient recordings – following a model first established in ‘Åra’ – provides a further discursive layer to the musical text. Rather than over-egging an already rich pudding with too many ingredients, the resulting palimpsest of music, sound and spoken word comes across as entirely natural-sounding, while much of ’Salika, Molika’ positively rocks, with compulsive, middle-eastern influenced grooves riffing on minimalist ear-worm melodies and trip-hop beats. Elsewhere, eerie glissando drones, plucked strings and the accordion’s wheezy sighs meet the repetitive pulse of what sounds like percussive raindrops. This is deeply rooted music, at times so ancient-sounding that it feels like it was dug up out of the ground. At other times, the effect suggests a heroically modernist, mid-twentieth century take on medieval sources, rather as if Penderecki or Ligeti were re-scoring Bergman’s ’The Seventh Seal’. ’Salika, Molika’ is also very consciously structured as a kind of sonic journey, the music first emerging from – and then eventually returning to – whispers of pure sound, while in between various modes and influences are picked up and tried out. Throughout, the band – which with the addition of Haltli becomes a four-way supergroup – plays superbly. Guitarist Stephan Meidell is already a star of the Hubro catalogue with his solo album, ‘Metrics’, and as a third of the group Cakewalk; percussionist/drummer Oyvind Hegg-Lunde – who plays with Meidell in the duo Strings & Tympani – is also a member of the influential band Building Instrument. While the use of the archive recordings could seem unrelated to the rest of the album’s contents, they actually have a vitally important role to play. The three tunes that feature brief excerpts of regional folk musicians Audun Takle, Karen Hatleberg and Harald Takle either talking or singing, are developed from the samples’ rhythmic motifs, which become the basis for subsequent improvisations, uniting past and present into a remarkable synergy of sources.